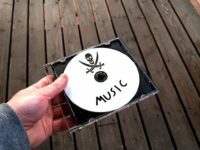 Music Canada released a report on the so-called Value Gap last month which serves as the basis for its lobbying campaign for copyright reform in Canada. The industry lobby group has used the value gap rhetoric primarily as an argument to undo safe harbours for Internet intermediaries. As I noted earlier this year, the argument is poor fit in Canada. First, Canada has experienced massive growth of Internet streaming revenues, with the Canadian music market outpacing global competitors by almost any metric and revenues going to both the industry and creators. Yesterday I posted on SOCAN generating a 10X increase in Internet streaming revenues with growth rates of over 100 per cent over the past year for songwriters, composers, and music publishers. The industry numbers from Music Canada and IFPI tell a similar story. According to industry data, the Canadian music market is growing much faster than the world average (12.8 per cent in 2016 vs. 5.9 per cent globally), streaming revenues more than doubled last year to US$127.9 million (up from US$49.82 million) growing far faster than the world average of 60.4 per cent, the Canadian digital share of revenues of 63 per cent is far above the global average of 50 per cent, and Canada has leaped past Australia to become the 6th largest music market in the world. In fact, as the chart below indicates, the growth of streaming revenues in Canada since the 2012 copyright reforms has increased significantly year-after-year with growth rates for the industry and collectives mirroring each other.